Grow tomatoes that will satisfy any culinary craving. If summer had a flavor, it would be that of a tomato. Raising these plump, juicy fruits is so satisfying. While tomatoes come in many sizes, shapes, colors and flavors, they all have one thing in common: They are either determinate or indeterminate. The difference between the two comes down to timing and size: More compact determinate tomatoes ripen all at once so they are ideal for going crazy making sauces, canning and freezing. Indeterminate types continue to grow all summer, so you can pick your fill one week, then pick again the next. It’s a good idea to plant both types so you can eat some and preserve some. Do you want to slice them for sandwiches, toss a few into salads or make pasta sauces? There’s a tomato best suited for each culinary situation. Learn about the four main types below. Whichever type you grow, consistent soil moisture is key. Water plants deeply and infrequently at the base of the plant, not on the leaves, to prevent disease. Plants need 1 to 1½ in. of water a week. To maintain even soil moisture, mulch around the base of plants. Need help getting started? Read How to start a vegetable garden. Whether you sprinkle them into summer salads and pasta dishes or onto pizzas, tiny tomatoes are as tasty as they are cute. Grow them in the garden or containers and enjoy their colors (red, yellow, and blends) and shapes (round, oblong, and pear). ‘Sweet 100’ is known for its sugary flavor. Try small-fruited Indigo Fireball, shown in the photo above, for tart taste and yellow-purple skin or ‘Power Pops’ (with 55 percent more lycopene, an antioxidant that may help reduce your chances of developing some cancers, than the average tomato). Heirloom ‘Yellow Pear’ adds color and tang to summer salads. 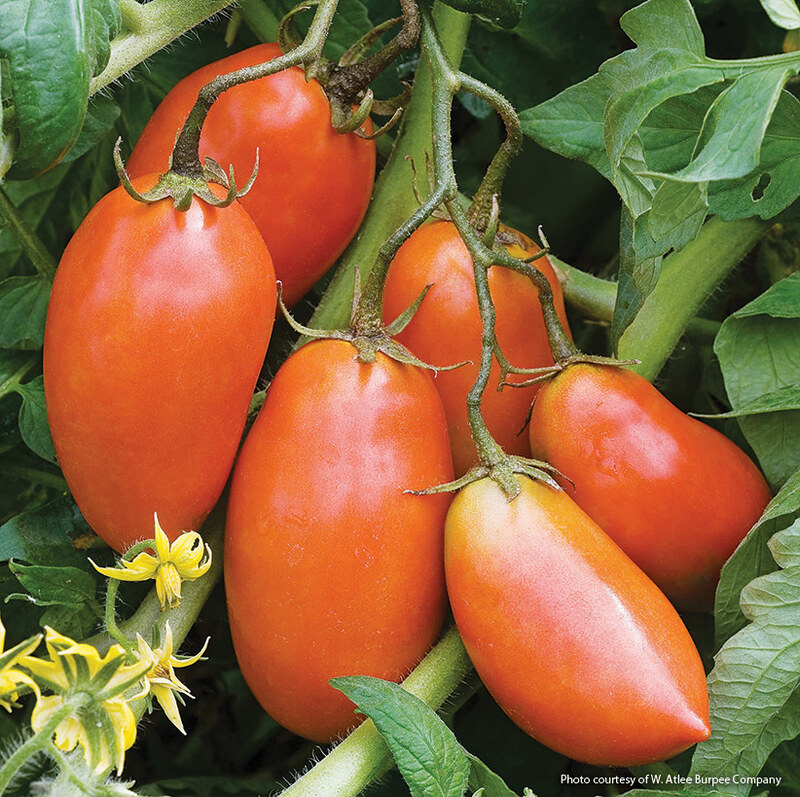 Ideal for small-space gardens or containers, bush tomatoes produce midsize, round tomatoes. The fruits are larger than cherries and have a flavorful, beefsteak attitude. Try ‘Early Girl’, in the photo above, and ‘Big Boy’ hybrids, which offer big taste on compact plants. Set your clock to BLT time. If you love classic bacon-lettuce-and tomato sandwiches, then beefsteak-type tomatoes are for you. Also known as slicers, beefsteaks produce large and wide fruit — a slice covers a piece of bread — and some are as big as 6 in. across. 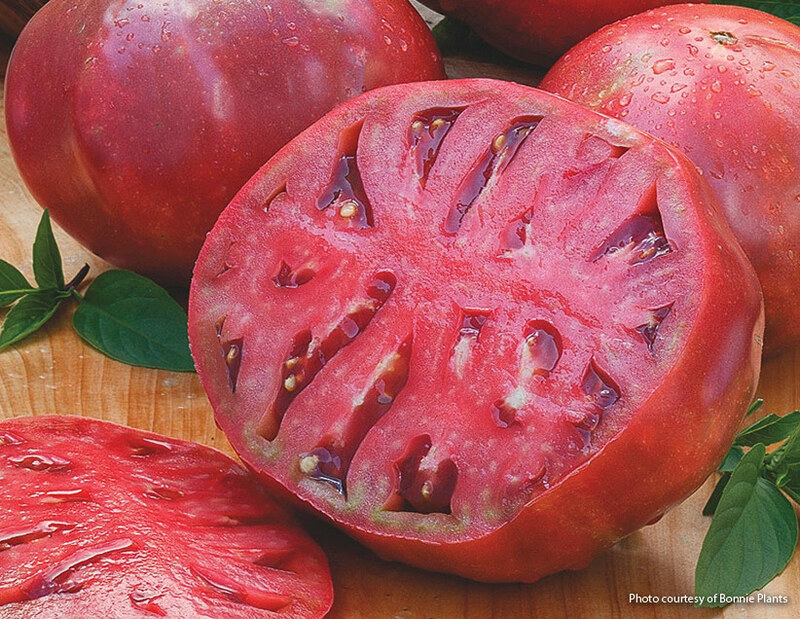 Try heirloom and hybrid varieties. 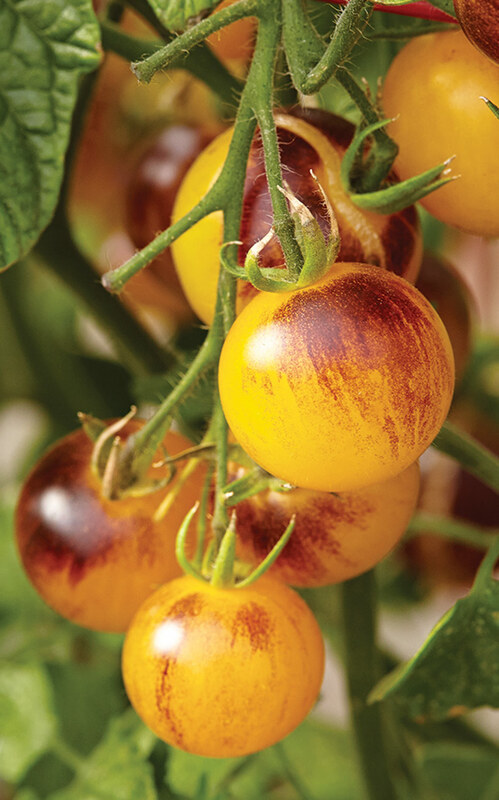 ‘Brandywine’ is an heirloom, endorsed by generations of gardeners since 1885. 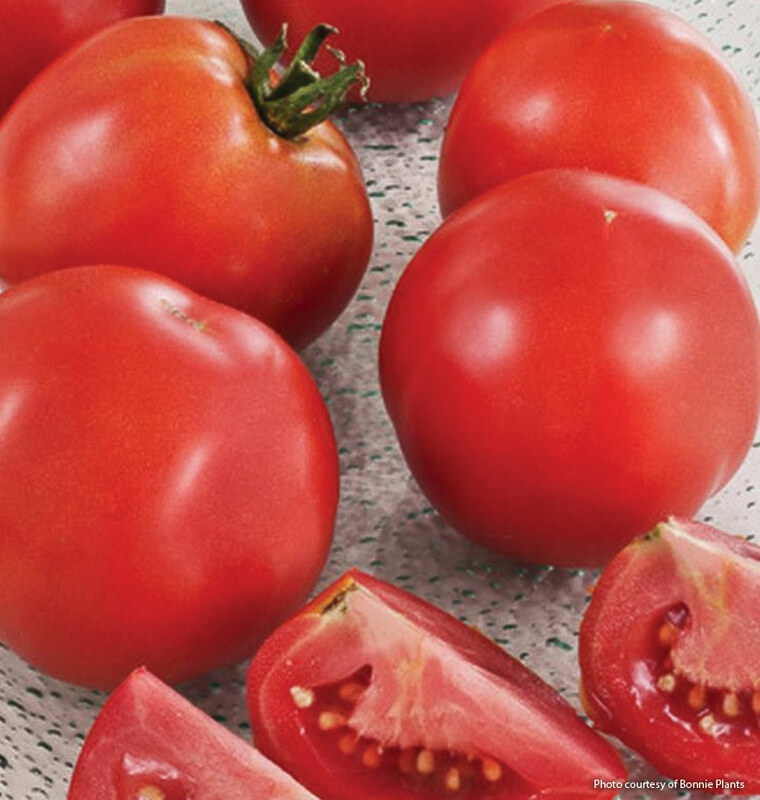 These chubby, meaty tomatoes can weigh 1 to 2 lbs. and need 85 days to mature, so plant seeds indoors in spring or buy seedlings. Other heirloom beefsteak varieties include ‘Cherokee Purple,’ in the photo above, ‘Brandywine’ and ‘Mortgage Lifter.’ If you love the biggest-of-the-big beefsteaks, try Steakhouse Hybrid, which produces whopping 48-oz. fruits. Enjoy firm, red ‘Steak Sandwich’ on a toasted slice of sourdough with a slather of mayo and you’ll be in heaven. Known as the paste tomato, thick walled, oblong-shape romas aren’t as juicy as other tomatoes, which makes them excellent dried or diced up and simmered down into a sauce. For Old World flavor, try blocky heirloom ‘San Marzano’ in the photo above. And in the bigger-is-better category, ‘SuperSauce’ hybrid paste tomatoes weigh in at 2 lbs. apiece.